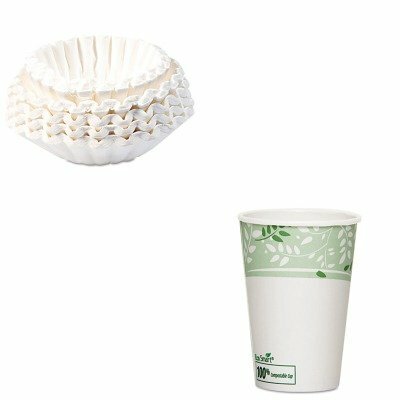 lt;stronggt;DXE2346PLAlt;/stronggt;lt;BR/gt;Dixie EcoSmart Hot Cupslt;BR/gt;Durable single-wall paper cups are lined with PLA derived from plant based starches. Pleasant leaf pattern design. Cup Type: Hot Capacity Volume: 16.000 oz Materials: Paper Colors: White/Green.lt;BR/gt;lt;BR/gt;lt;stronggt;BUN1M5002lt;/stronggt;lt;BR/gt;Dixie EcoSmart Hot Cupslt;BR/gt;Fits 1.5-gallon coffee brewers. Stay-in-place design. Special paper assures optimum brew. Number of Cups: 12 Materials: Paper Shape: Flat Bottom.